Traditional French doors have always been popular and became a standard feature in properties constructed from the thirties onwards. 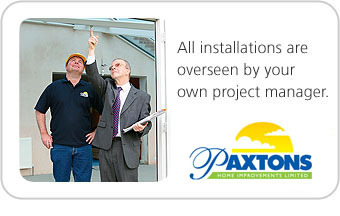 The Paxtons range of UPVC French doors is true to the original design but with new features to make your propery more secure and better insulated. Incorporating the latest multi-point locking systems and high insulation glass, our UPVC French doors complement our window and door ranges perfectly, and are offered in a variety of design styles, colours and finishes. All UPVC French doors are manufactured to your precise dimensions and normally include two outward, or inward, opening doors flanked by fixed windows.